The BBC asked me to present a feature highlighting the career of the first registered female doctor in the United Kingdom. 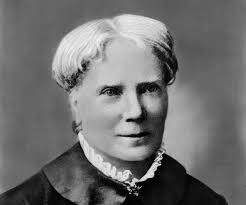 Hailing from Bristol, Elizabeth Blackwell a British-born physician, notable as the first woman to receive a medical degree in the United States, as well as the first woman on the UK Medical Register. At a time when women were seen as 'not suitable' for medical education her unflappable and unwavering drive to establish female doctors both in the United Kingdom and the United States has a lasting legacy. She is a shining example of what you can achieve if you have belief and determination.